I know I always talk/rant (haha) about healthy eating. But I just want to be clear, my diet is in no way about deprivation! I enjoy food more than anyone I know. The combination of tasting delicious, with feeling great from all the health benefits of the diet is part of what makes it so enjoyable! The key to delicious, healthy, plant-based food is this: Fresh produce, creative substitutions, and a killer spice rack. My recipe ingredients may sometimes be a little unusual, but their flavor profiles often recreate classic flavors and dishes into healthy, natural, veganized ones. My White Bean Cheddar Burger, for example, contains all whole food natural ingredients. No dairy or processed imitation cheese involved, but it sure is cheddary! As an added bonus, these burgers contain turmeric which is an excellent superfood! Turmeric is a root in the ginger family. It is an anti-inflammatory, antioxidant, and antibacterial food. It naturally treats joint pain, sores, digestion issues, and skin conditions such as eczema and chicken pox! It also helps the body recover rapidly from bruising and sprains. Really quite incredible. So it's time to add turmeric to your grocery list. You can sometimes find it in the produce section near the ginger. If you can't find it fresh, you can find it dried and ground, in the spice section of the grocery store. In a bowl, mash beans with a fork while slowly adding all other ingredients. Stir and mash to combine. Form into 2 patties. On a very lightly sprayed or oiled pan, over medium heat, sauté for approximately 6-7 minutes on each side. Until golden brown. Serve hot. Excellent topped with Tahini Thousand Island Dressing (recipe here)! This is for veg people and omnivores alike! So many people tell me they could never be a vegetarian because they cannot deprive themselves of bacon. Well we love bacon too! We don't want to deprive ourselves either! And who is our little knight in shining armor? Well it's not the highly processed, packaged fake bacon that looks more like a dog treat! Oh no no no. It's coconut bacon! It can be made into bacon bits with shredded coconut or bacon strips with large coconut flakes. This perfect combination of sweet, salty, and smokey will make you salivate. Did I mention there are only 4 ingredients? This is the simplest RV kitchen recipe you're going to get. Insanely excellent on a BLT by the way. Now go forth, and eat some bacon. Shredded coconut bacon bits on my salad. It's time we take full responsibility for ourselves and our health. It's as simple as this: Toxic food will make you sick. Proper nutrition will boost your immune system and prevent, treat, and even reverse common diseases, cancers, and other health issues. The Standard American Diet (SAD) triggers heart disease, breast cancer, prostate cancer, colon cancer, diabetes, arthritis, kidney stones, chronic fatigue, high blood pressure, migraines, multiple sclerosis, anemia, irritable bowel syndrome, erectile dysfunction, osteoporosis, i could go on and on. You ALL have suffered from or know someone who has suffered from them. These are all either preventable, treatable, or reversible through diet alone. Toxic foods include: preservatives, food dyes, refined sugars, refined flours, red meat, white meat, fish, all dairy, eggs and egg whites, genetically modified fruits and vegetables, pesticides, hormones, chemicals. What's left? Whole, natural, organic, foods. Fresh vegetables, fruits, whole grains, berries, nuts, beans, and legumes. Eating strictly plant-based may seem very extreme. But what's more extreme is surgery, chemotherapy, radiation, dialysis, debilitating chronic pain, suffering or watching someone you love suffer, and the financial burden of all that healthcare. Stir to combine, slowly adding the pickle juice, until you reach desired consistency. Store in the fridge in an airtight container. Blend and store in the fridge in an airtight container. Stir to combine. Store in the fridge in an airtight container. This one has a tangy, bright, bold flavor! I could totally eat a bowl of it, like soup. *If you don't do raw garlic, roast the garlic first before adding to processor. Process all until smooth. Store in the fridge in an airtight container. Wild Mushroom Gravy Dressing What! Gravy Salad dressing? Or dip. Trust me. Pulse to combine, or blend for smoother consistency. Blend and store in the fridge in an airtight container. *For a pesto spread, rather than dressing, omit the water. Blend all but oil, slowly add oil. Store in the fridge in an airtight container. Whisk together everything except tofu. Stir in crumbled tofu. 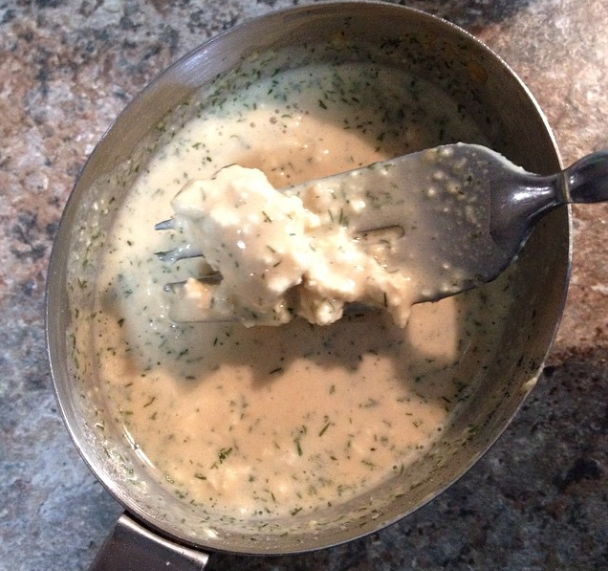 Dressing will thicken some within 5 minutes. Add more water if needed to desired consistency.